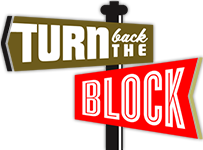 Turn Back the Block is founded on the belief that home ownership is the axis for community transition. Using the existing housing stock in this historic mill village, Turn Back the Block enables individuals and families the opportunity to participate in the rehabilitation of their future homes via sweat equity. Our Family Selection and Shepherding Committee qualifies applicants and assists them in the process of home ownership, both before and after closing. Turn Back The Block offers low and interest- free mortgages to participants, and utilizes all payments to further our mission in Harrisburg. Our mission is to literally be the hands and feet of Christ to those in their darkest hour by helping to meet their deepest needs. We are on a journey to transform our own lives from the ordinary lives we’ve been living for so long into radical lives filled with purpose and selflessness. In doing so it is our prayer that God’s KINGDOM will be established HERE just as it is in Heaven. We would love to have you on the journey with us. Heritage Academy is an independent school offering a quality Christ-centered education to children of diverse economic, racial and ethnic backgrounds, empowering them to become a positive influence for Christ in this community and around the world. Heritage Academy has an intentional mission to the children of low-income families. We are neighbors. We are families. We are friends. We are children. We are community organizations. We are students. We are volunteers. WE ARE REGULAR FOLKS WORKING TOGETHER TO GROW, COOK AND EAT HEALTHY, WHOLE FOODS.